Offer hope to incarcerated youth by sharing stories of people who have overcome similar obstacles. FRUIT. magazine is a quarterly, high quality magazine with content and design created specifically to engage the incarcerated youth we serve. Their writers are “in the trenches” with this population, which keeps their content relevant and compelling. Their feature articles offer hope to kids by sharing stories of people who have overcome similar obstacles. 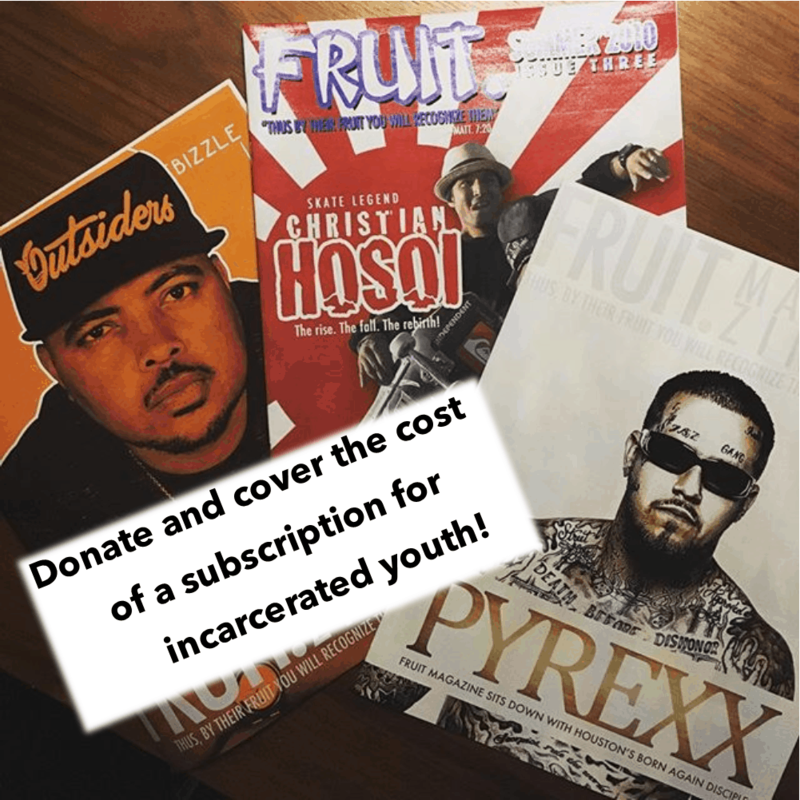 FRUIT.magazine provides drug, gang, and healthy living education, positive music and book reviews, letters from adult inmates sharing their experiences with our youth in hopes that they will choose a different path. They even publish the art and writing of their readers. You can donate and cover the cost of part of a year or a full year of magazines. Your partnership provides 100 copies of FRUIT.magazine to Denver area juvenile facilities each quarter. Each copy reaches multiple readers. Think of the of lives impacted!